Happy Tuesday friends! It’s currently overcast in Beeston with sleet forecast for tonight – the amazing tropical weather of last week is but a memory, with only blustery April weather forecast for the next few weeks! 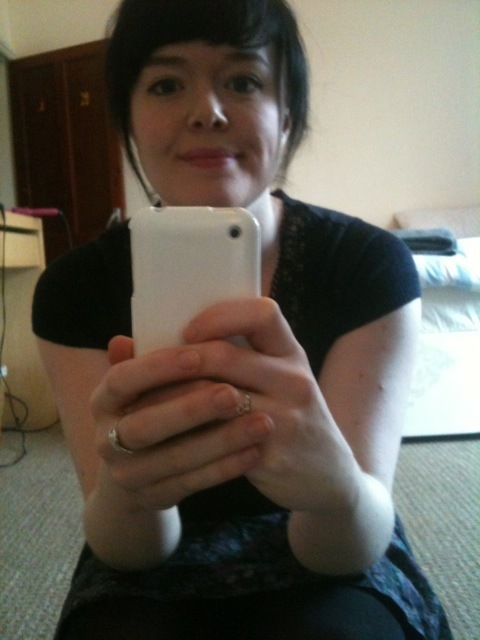 I went for a low maintenance look today, with my hair up in a bun. 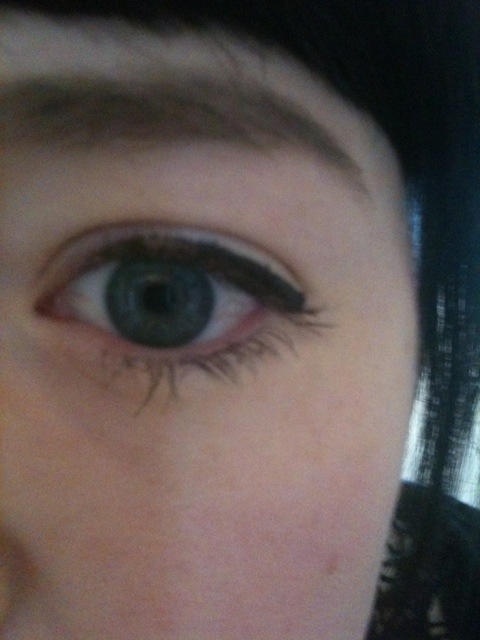 I played around with my new Barry m wink eyeliner marker – I’m still having trouble getting the look I want with it but I’m hopefully making progress! I’ll do a review soon! 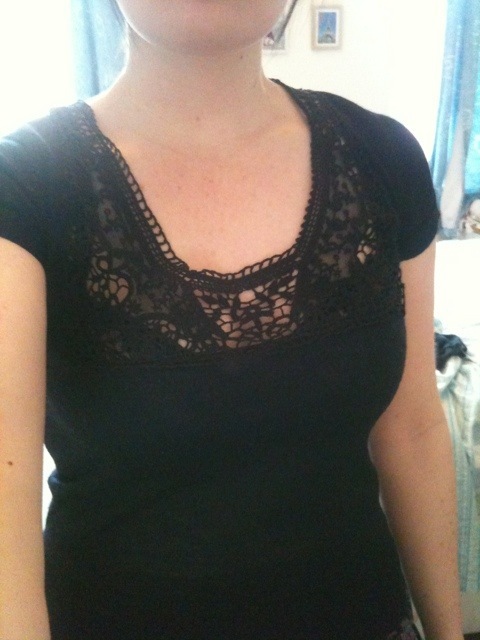 The top I’m wearing is like a lacy knit jumper I’ve had for years – I really need to get some new work clothes! 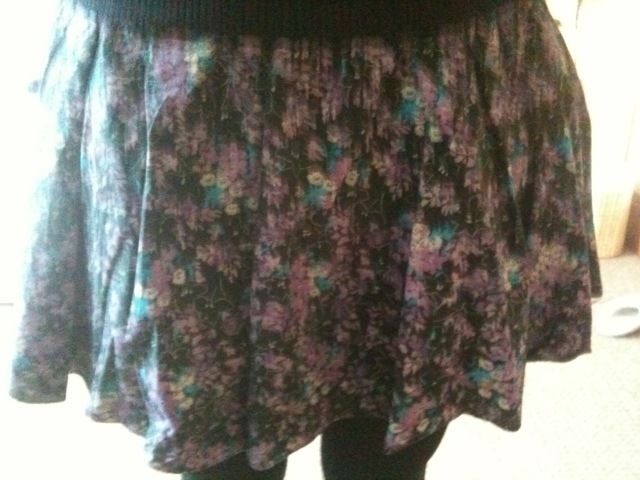 Purple flowery skirt! Again I’ve had this for years but I don’t care as I love it (and it’s ageing well!). Sparkly silver shoes! 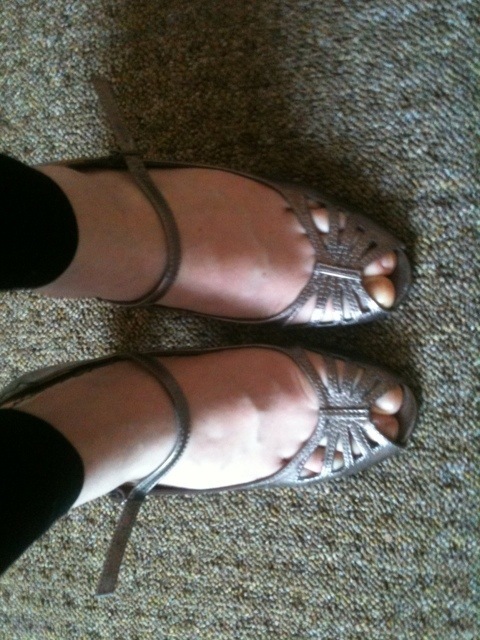 I rarely wear these shoes as they hurt like an SOB although that breaks my heart since they’re so beautiful. I’m going to make an effort to wear them more when I don’t have far to walk. What outfit are you rocking today? Have a fab Tuesday !! 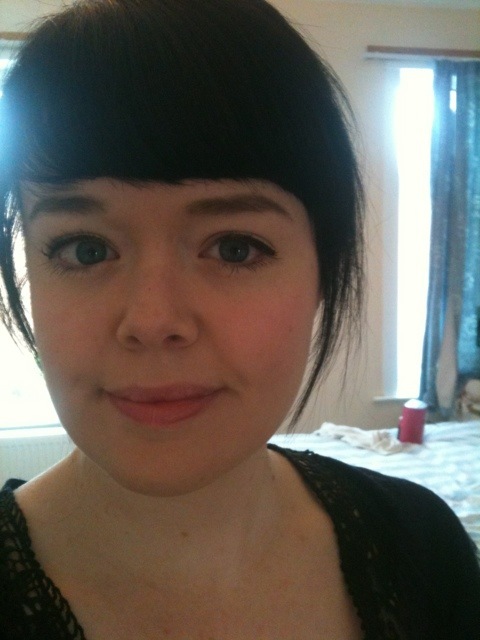 We really are blog twins… separated at birth?! Yep its from Warehouse!! haha I think there’s something our parents aren’t telling us! You look cute Kerry. 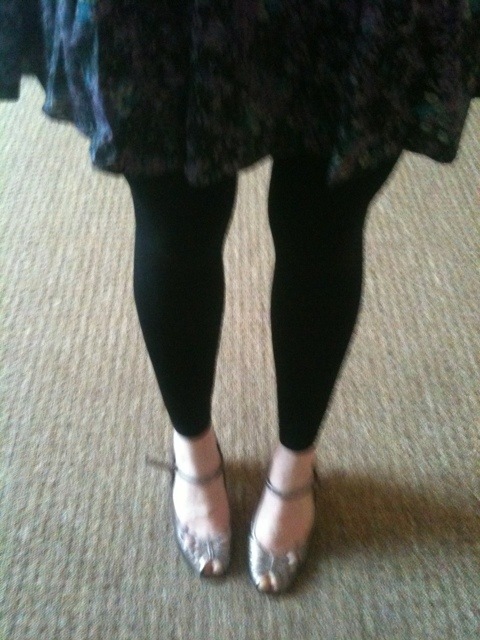 I love footless tights and nice shoes. I know I keep saying this but you look like the Yardley Girl. It’s very 60s. It’s great. Your eyes are the color of twilight – an amazing shade of blue. ha, its not that cold is it!! Hey Buddy!, I found this information for you: "What I’m wearing today!". Here is the website link: https://kerrycooks.com/what-im-wearing-today-40/. Thank you.